Gourd Candy Dish - So realistic! This unique candy dish will add a flair to the holiday season. 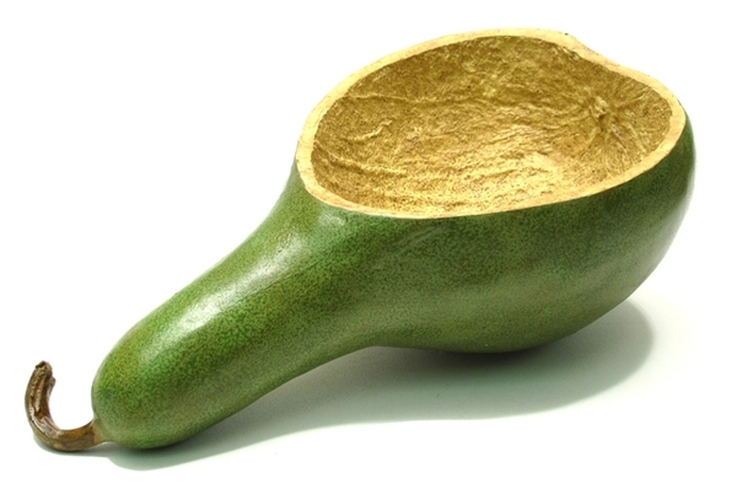 The green resin gourd measures 5"H x 12"W x 6.5"D and is to be used with wrapped candy.